The unbreakable packaging, made from a fully recyclable and environment-friendly material, optimally combines lightweight and safe transport. Protection against UV rays and sunlight enables the delicate ouzo VETO to maintain its precious properties unchanged. 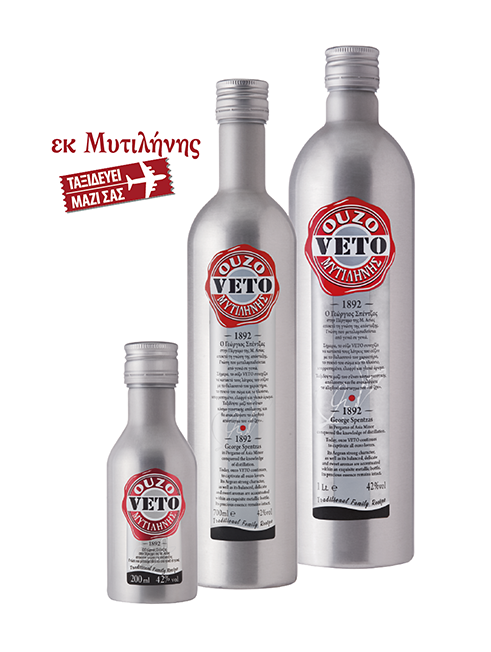 Ouzo Veto Metallic is the first ouzo in Greece for which the State Chemical Laboratory has granted permission to bottle and market in metal containers.